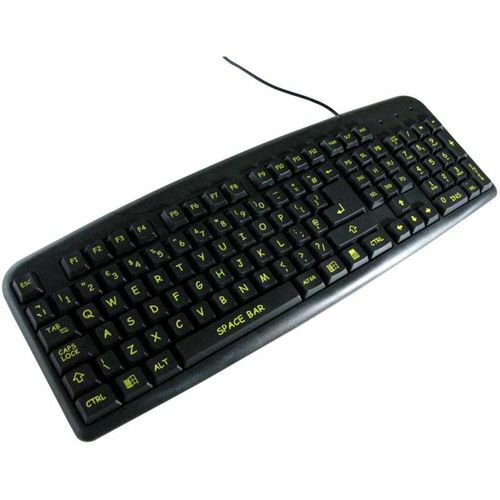 This keyboard is designed for people with visual impairment. 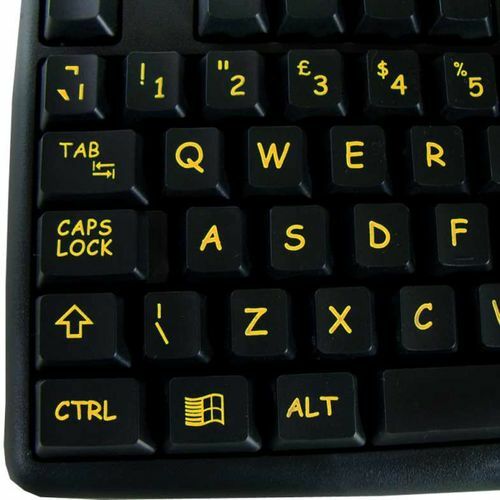 Standard keys with distinctive bold Upper case yellow letters on black keys help to make this keyboard easier to use. 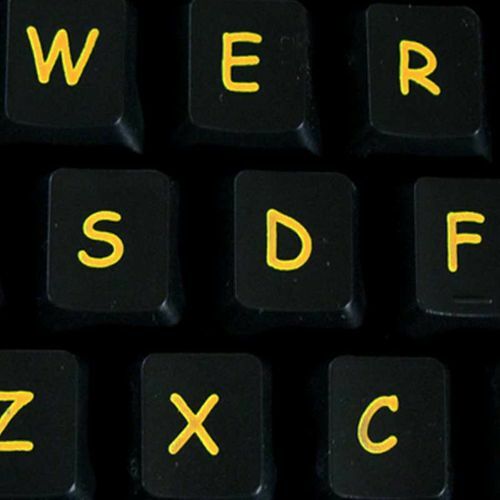 Black Keys with Yellow easy readable Upper case lettering. 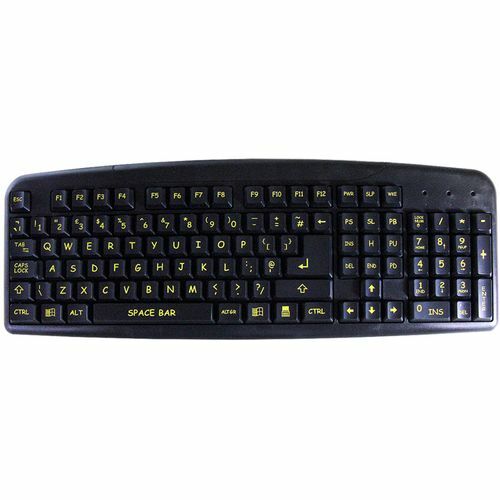 Black body to enhance the keys. Compatible: Windows 7, XP, Windows, Vista.